SWS is pleased to announce as of May 1st, 2018, we are the Washington, Idaho and Or­egon dealer for SEWER EQUIPMENT. SEWER EQUIPMENT designs and manufactures sewer cleaning and vacuum excavation equipment. They pride themselves on custom­er-focused culture, blue-collar attitude and design simplicity of their products. SEWER EQUIPMENT continues to introduce new equipment, built to a decades-old ‘keep-it-sim­ple’ standard. They offer a variety of brands including Sewer Equipment Co. of America which focuses on truck and trailer mounted sewer jetters, combination sewer cleaners, easement machines, rodding machines and bucket machines. Their RAMVAC brand specializes in vacuum excavation equipment, such as truck and trailer-mounted hydro excavators, as well as trailer-mounted catch basin cleaners. Mongoose Jetter brand provides high-pressure jetting equipment specifically designed for the plumbing contractor markets. 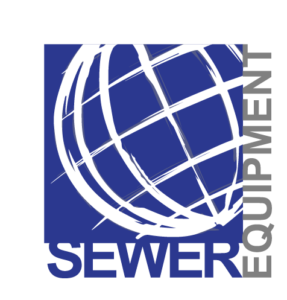 SEWER EQUIPMENT’s primary production facility is in Dixon, Illinois and also has satellite operations in Clinton, Iowa; Island Lake, Illinois; and Rockaway, New Jersey. Tanya Walter has been with SWS for almost 5 years. 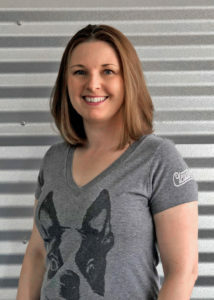 She is the inside sales representative for Eastern Washington, Idaho and Montana and is the woman behind the scenes, ensuring every sale is flawless from signatures to deliv­ery. Tanya has been in the Spokane area for about 5 years and moved here to be closer to family after spending 10 years in beautiful Bozeman Montana. She was born and raised in “The last Frontier” Alaska. When Tanya was little, she was always fascinated with Greek Mythology, Egyptology and animals. She wanted to grow up to be an Archeologist or a veterinarian. A few things that no one knows about Tanya: she held a commercial driver’s licenses in the state of Montana and can parallel park a 33 foot bus, she passed a winter survival course building a fire in the snow with only one match, and she drew the button for the 1998 Alaskan Iditarod Race. Tanya spends a great deal of time experimenting with food and cooking healthy meals for her family. When the weather is nice she spends as much time as possible hiking, biking, camping and exploring the Northwest. When asked what she likes most about working for SWS, she replied, “The industry and related position is consis­tently changing; this creates an engaging environment where you are always learning and being challenged. SWS specifically creates a family friendly environment and shows a genuine interest in each of their employees, making you feel part of the team”.